Super Eagles’ Technical Adviser, Gernot Rohr has expressed his worries over first-choice goalkeeper Francis Uzoho not having enough playing time in his club Elche which plays in the Spanish Segunda Division, reports goalball.com.ng. The coach, who is back in the country to begin preparations for the 2019 Africa Cup of Nations, disclosed this while responding to questions from reporters at the Agege Stadium during the Nigeria Professional Football League fixture between MFM FC and Rangers International which ended 1-0 in the favour of the hosts. “We have a little problem with our goalkeeper Uzoho because his club bought another goalkeeper. “I will like to see him play and not be number 2 in the Spanish second league, and that is why he is working as if alone in Europe to playing regularly. “The level in Spain is very high. So, we have to get players that are playing very well,” he said. The Franco-German also expressed his displeasure with the long break the NPFL had, causing the local players about eight months of inactivity and the fact that it reduces their chances of breaking into the national team. “I regret that it has been a long period of time that they did not play, so that is not easy for the players to be fit again immediately. “What I have seen in this game has been interesting; I saw Rangers and Lobi Stars in the African competition. “Now they are playing with my assistants Imama Amapakabo and Alloy watching, and myself also watching the league if there is really a good player. “We have to look at the U20 team which is starting very soon. 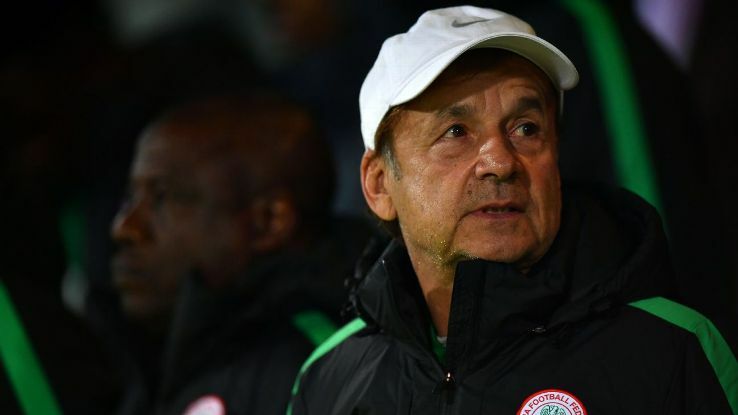 We will be there to watch,” Rohr said.